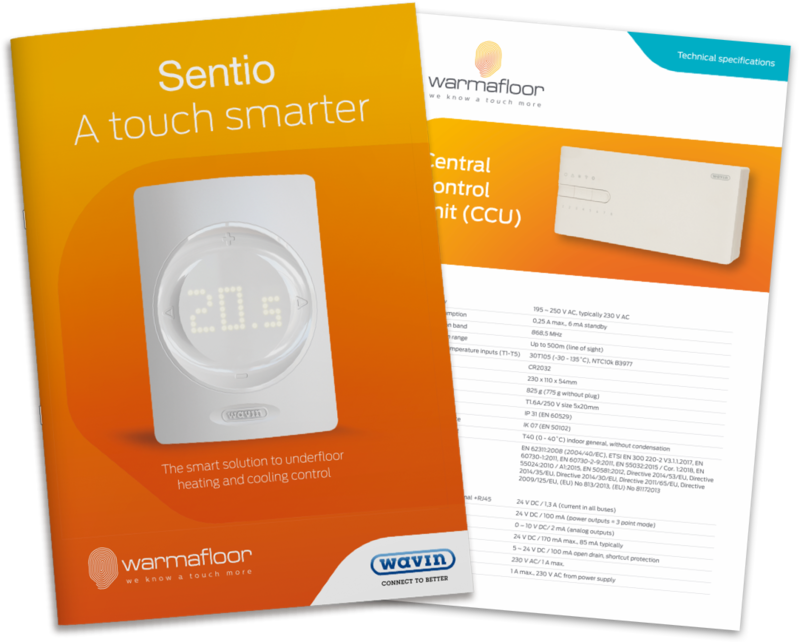 In just three steps, Sentio eliminates the complexity and common problems of underfloor heating and cooling control. As a result, you simply connect, set and go with logical installation, effortless configuration and smart app-controlled usability. 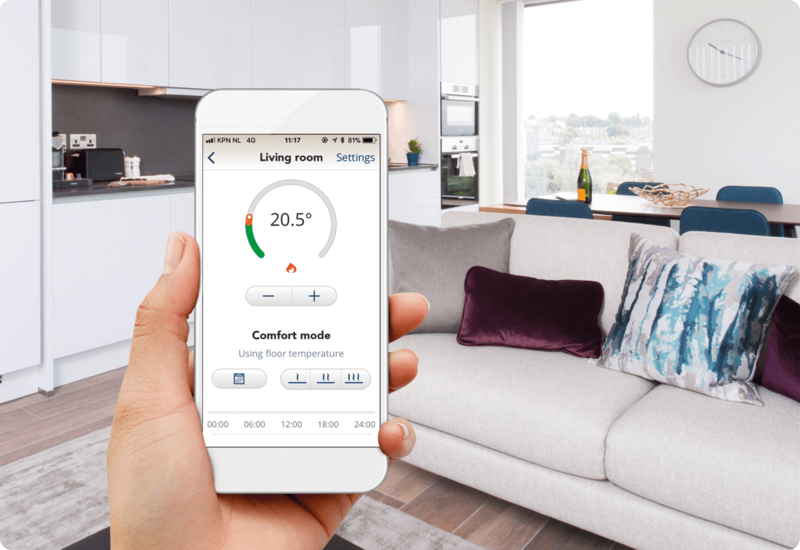 It’s heating control made a touch easier and smarter – enabling everybody to take full advantage of all the benefits of underfloor heating and cooling. The Sentio App brings underfloor control into the world of IoT and seamless connectivity. It means you have the full functionality of a thermostat and more wherever you and your phone are, 24/7. The App features a clean user interface that makes setting, adjustment and updates logical and easy with intuitive swipe and tap gestures. Download the Sentio App from Google Play and the App Store. Sentio’s CCU is key to energy efficiency and high levels of comfort. Whether heating or cooling, the CCU maintains the ideal temperature by monitoring inlet and outlet temperatures and adjusting them accordingly. The base unit will support up to 8 thermostats, 16 actuators and 2 circulation pumps. It features intuitive wire management and low-voltage, daisy-chained wiring to make system installation easier, faster and more efficient. The CCU is also able to accommodate heat pumps and district heating, and offers Modbus control to interface with BMS master systems*. 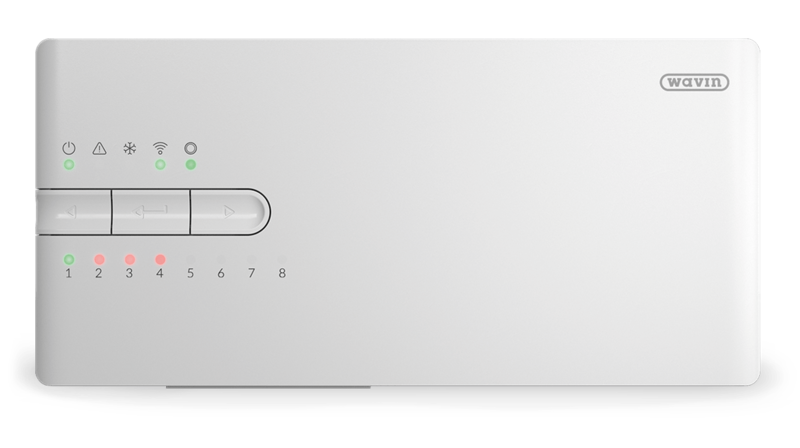 One look at the Sentio thermostat and you know it’s the face of modern heating and cooling control. Elegant and non-intrusive, it displays information only when required and adjusts in light intensity according to its surroundings. 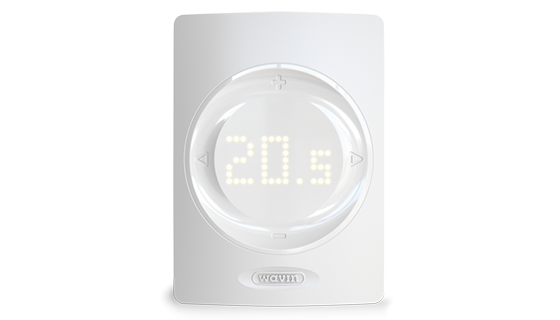 It is simplicity itself to use with the display showing both temperature and humidity levels, and residents can switch easily between three pre-set comfort modes. Wireless and hard-wired versions are available and can be mixed and matched as required. 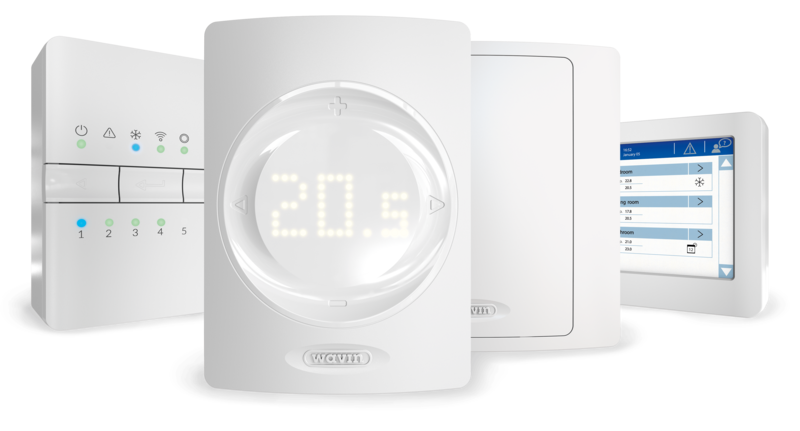 A Sentio room sensor offers a clever, tamperproof alternative to the full functionality of the thermostat – in circumstances when control via the App or modbus is sufficient. 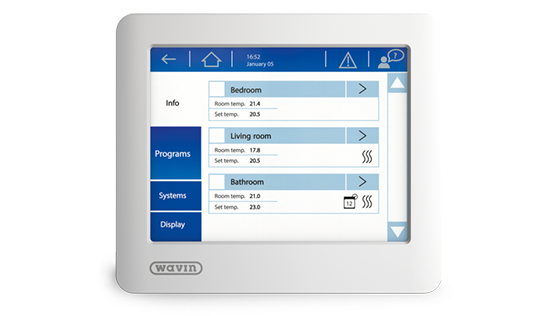 The LCD touch screen offers a high degree of flexibility and includes all programs, settings and schedules. It gives Warmafloor an intuitive portal for fast and precise system commissioning. All subsequent control can then be handled by the App or modbus. However, if required, the LCD unit can be made available as a back-up control option. Our wide range of ‘how-to’ videos are a handy reference library to help users get the most from the Sentio system. For a handy overview of the benefits and components of Connect, Set, Go Sentio, download our brochure or component datasheets.